Have you ever wanted to pull the curtain back and see how some of the magic is made? You’re in luck! Adventures By Disney has just announced a new Southern California excursion â€œLightsâ€¦Cameraâ€¦Magic!â€. Below is some additional information from Disney about this one day tour which can be added to a Disneyland Walt Disney Travel Company package. During this daylong guided group excursion, guests will be immersed in the magic of Disney and the history of Hollywood in unique, unexpected and unforgettable ways. 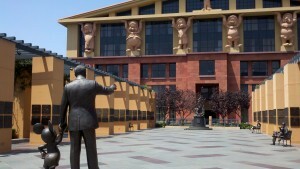 Guests will see where the Disney legacy beganâ€”the Walt Disney Studios. 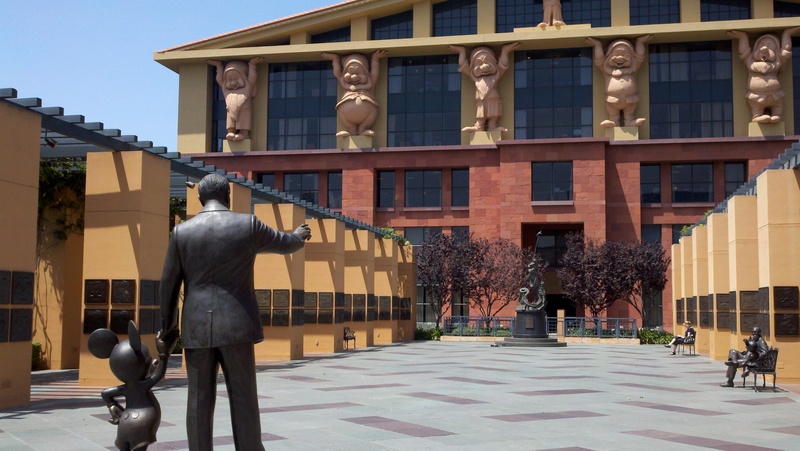 All around you, the story of The Walt Disney Company comes to life as you tour the historic Studio Lot, explore the fascinating Disney Archives, shop at the Studio Store and enjoy lunch at the Studio Commissaryâ€”experiences only Disney can offer. Youâ€™ll also go behind the scenes for a private visit to the famed Kodak Theaterâ€”home to the Academy AwardsÂ®â€”and explore fun and fascinating Hollywood Boulevard. Later, cruise down the legendary Sunset Strip to Beverly Hills, where youâ€™ll stroll along world-famous Rodeo Drive. Then, itâ€™s off to Malibu for a receptionâ€”and a breathtaking view of the Pacific Oceanâ€”at Gladstoneâ€™s beachfront restaurant, a celebrity favorite. Along the way, youâ€™ll be treated to VIP attention from two Disney-trained Adventure Guides and enjoy exciting surprises and â€œmagical momentsâ€â€”including fun Junior Adventurer activities designed especially for our younger Guests. â€œLightsâ€¦Cameraâ€¦Magic!â€ is an extraordinary adventure your entire family will remember forever! The price for this add-on is $199 for adults and $189 for children ages 4-9. Is this something you’d like to add to your Disneyland Resort stay?